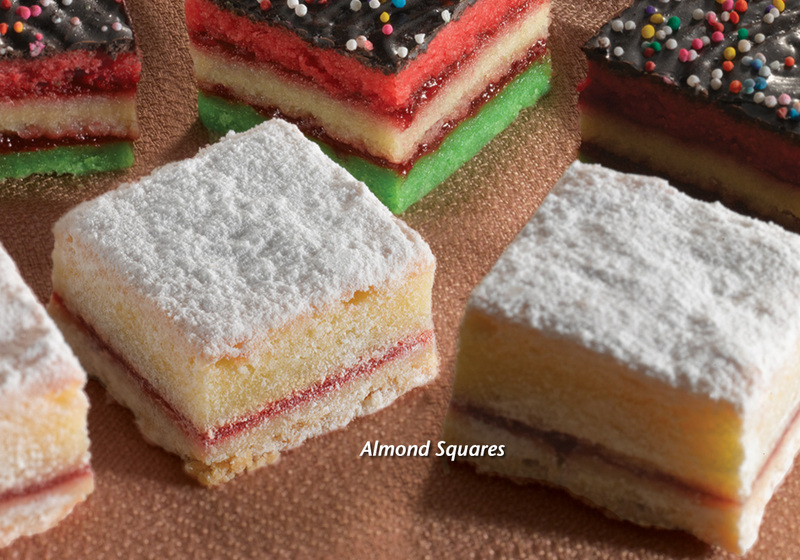 Cobblestone Bakery’s Almond Squares are sophisticated best sellers, and our most elegant cookie. We’ve topped light yellow cake and layers of sweet almond filling and raspberry jam with powdered sugar. Perfect for teatime – or any time! You’ll get a square deal and big sales every time with irresistible “thaw and sell” Times Squares!